We are based in Trinidad and Tobago, however some of our core members reside overseas who operate as our foreign consults. 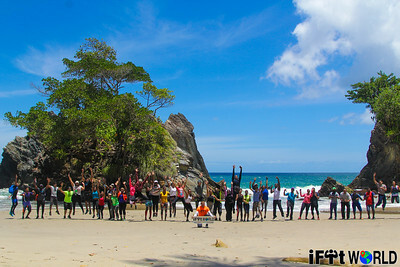 Daily in Trinidad and Tobago we offer fitness training while we offer public hikes and tours on most weekends and public holidays of the year. We normally create a calendar of events for the upcoming year. You can look out for it below on this page. If you do not see it, it is being modified. We look forward to seeing you on an adventure. Join our mailing list for updates on upcoming activities. iFit Hike, Yoga and Breakfast Picnic at the summit of Mt Tabor. The Abbey of Mount St. Benedict situated 600 feet above sea level is a significant tourist attraction that provides spiritual guidance to Christians and Non-Christians. On the entrance to the monastery, there is a large sign written in Latin “PAX” meaning a “place where peace reigns”. In October 2012, The Abbey of Mount St Benedict celebrated its 100th anniversary. The history of Mount Saint Benedict goes back to 1911 when Abbot Dom Mayeul de Caigny of Brazil wrote to the Archbishop of Port_Of_Spain John Pius to establish a Benedictine foundation in Trinidad. The Archbishop granted permission and on the 17th January 1912, Dom Mayeul purchased a small estate located in the hills of Tunapuna from Mr Andrew Victoriano Gomez. 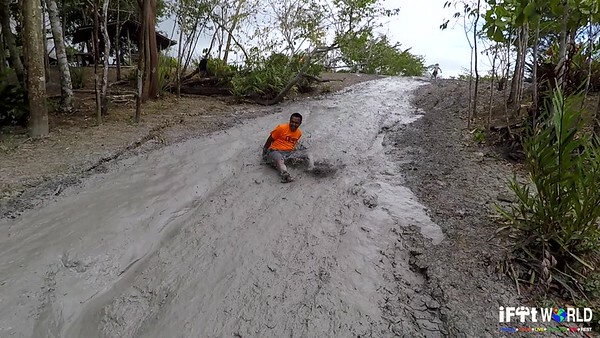 Tunapuna, which means “the way of the water”, had no roads and to get there meant climbing the steep hills on foot. The Abbot became impressed by the splendid views and serene ambience. The asking price was 4000 pounds, and the first building was a Tapia Hut. The first Mass to be celebrated was on the 10th August 1913. During the period, 1912-1918, a church, guesthouse, workshop, living quarters and kitchen constructed. By 1918, the daily crowds increased to such an extent that the monks needed to find a more secluded place for recollection and study. The monks looked at the nearby hilltops and Mt. Thabor situated at 1851 feet above sea level was the site chosen. This new monastery built to accommodate young monks studying theology and those seeking seclusion from the influx of daily visitors. By 1922, the mansion at Mt. Thabor contained fifteen rooms, a chapel, a large hall and two towers 40 feet high. Reserved on each side of the tower were the Papal Flag and the Union Jack, seen from miles around. A place for solitude and to visit the public had to obtain written permission. However, the difficulty to climb the high mountain and bring supplies caused the property to be abandoned. Today all left of this majestic structure is some concrete ruins. 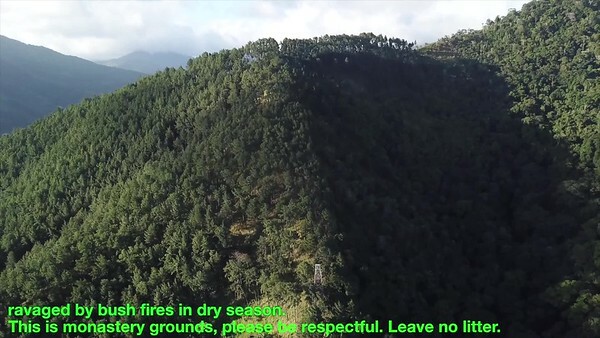 The wooden Tapia Castle now destroyed by the rugged elements of nature. Mount St. Benedict became an Abbey in February 1947 and on 3rd June 1947 Dom Adelbert van Duin a monk stationed there became the first Abbot. His motto “to be at the service to all” and he received his abbatial blessing from Archbishop Finbar Ryan on 16 June 1947. Over the years, the hilltops that surround Mt. St Benedict are venerable to bush fires and to preserve the forest the forestry division replanted pine trees. 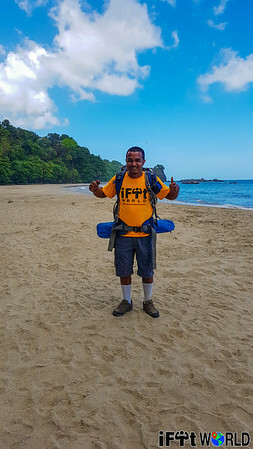 The uphill walk to the Pines where Mt Thabor situated will take 40 minutes. At the summit, the grandeur of the towering pine trees and the peaceful atmosphere feels like no other. The soothing mountain breeze blowing across the valley creates a relaxing sensation. There are fantastic and breath-taking views of Maracas St. Joseph countryside, the East –West Corridor and the Central Plains. On the compound, there is cafeteria and gift shop to assist in the up keeping of the church. Mt St Benedict also distributes yogurt and once known for having the best honey. Keep arms and hands free as you may have to assist someone or be assisted by someone at certain parts of the trail. Everything to eat, drink and yoga mats must be wrapped in such a way that arms and hands are free. To experience the true magnificence of Matura one has to explore the river with its fascinating pools, waterfall and gorges. The majestic trees that border the bank are mainly Mora, and they add splendor to the already picturesque scenery. The river as it meanders through the valley passes through a region of untouched and uninhabited woodland. The serenity of the forest creates a relax sensation to sit on the rocks and sway one’s feet in the soothing water. The sun shining on the crystal clear waters radiate vibrant colors of emerald green. 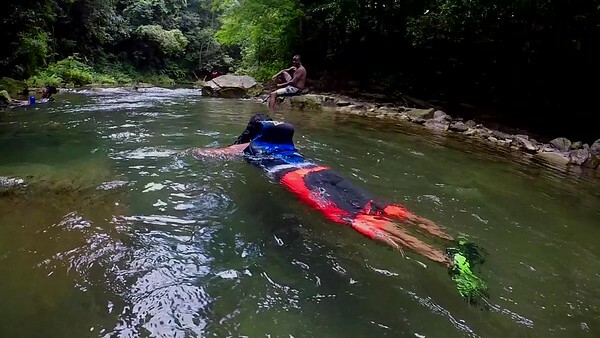 A popular spot in the river is the area referred to as Mermaid Pool where there is a large pool to swim and unwind. Structurally, Trinidad is Continental in nature, and the geology of the South is different to that of the North. Jurassic rocks made up of phyllites, quartzites and limestone occurs in the North Range and within the mountainous landscape there are waterfalls. In the south the rock formation is referred to as argillite and composes of Herrera sands, grey silty clays and lignite beds. There are numerous mud volcanoes and within the burnt clays or porcellanites are oil deposits. 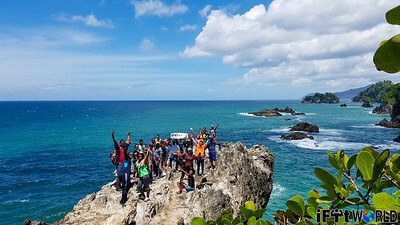 A volcano of particular interest is L’eau Michel (pronounced La Moshell) located at Bunsee Trace opposite the 9km sign post on the Penal Rock Road. 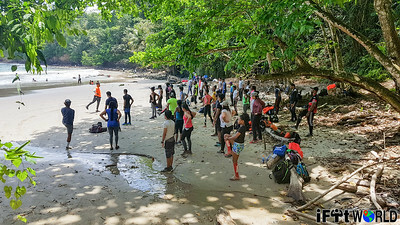 The hike to see the volcano will take an hour and a hidden gen 30 minutes further along the path is L’eau Michel Beach. The trail has a sticky type of clay called Sapata and passes through abandon sugar cane plantation and teak forest. The terrain consists of rolling hills and gentle inclines with exposure to the sun. It is advisable to carry at least 2 litres of water and a hat for sun shade. A large hog plum tree is a prominent landmark to the volcano’s entrance. Around the volcano, the mud spills or tassik is circular and semi solid, covering an area of an acre. The mud flows horizontally, with bubbles coming out from the active vents, and the cone is wide rather than high. Caution! When stepping around the liquid mud which is like quick-sand and can cause one to sink and disappear. 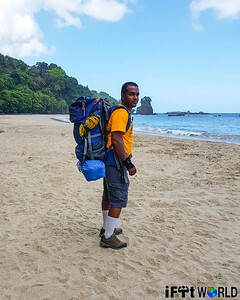 Wet Season: Park by Ranger Station and 20 Minutes walk to the crater then 1 Hour walk to the beach one way. Located in Cumaca is the evergreen valley where you would find the Turure River. Along its path are rocks carved into natural water-steps that lead upstream to the falls. On its course, there are several waterfalls but the centre of attraction is the wide vertical falls. At the top and bottom of the fall are pools to enjoy and a fun opportunity to rock climb. The adventure starts from the Turure Bridge on the Cumaca Road in Valencia which takes you to the limestone pavements. The calcium carbonate deposits make the rocks less slippery and easier for stepping. Further upstream are more cascades to discover and behind one of the overhangs there is a hidden cave. The tranquility of the forest comes alive with the display of the golden-headed manakin (pipra erythrocephala) and the echoing sound of the bearded bellbird (procnias averano). Note: In recent times, loose silt from extensive quarrying has polluted the river causing landslides and endangerment to wildlife. 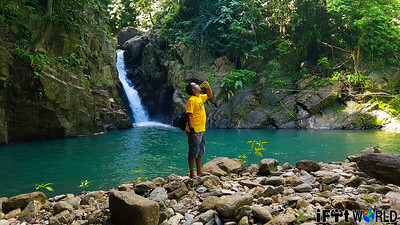 This waterfall is located in the town of Blanchisseuse. The river flows on the eastern side of the village. The waterfall at Avocat hangs of the walls at the head of this narrowing valley like a bride's veil; it's cold clear water thundering into the small basin at it's feet. The hike to the waterfall takes about 1 hour. The trail is shaded by the tall enchanting trees. 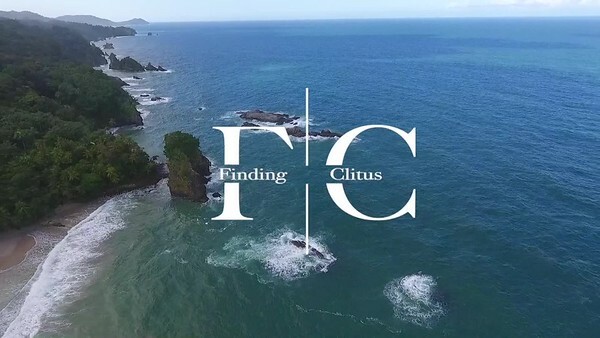 Come along with us to enjoy one of the natural beauties Trinidad has to offer. 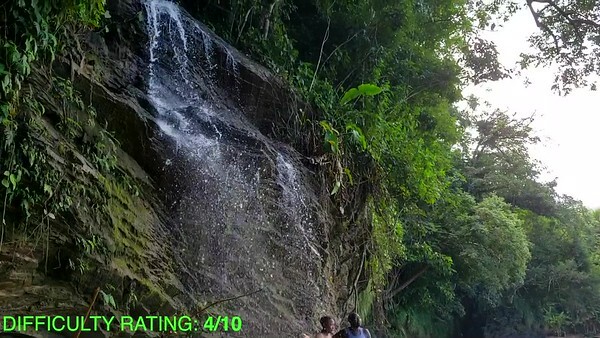 On reaching the waterfall one has the option to sit on the rocks while enjoying the scenery or take a swimmer in the clear water with life jackets that will be provided. We look forward to taking you on this adventure with us. Cyril bay is one of the hidden gems of the north coast. 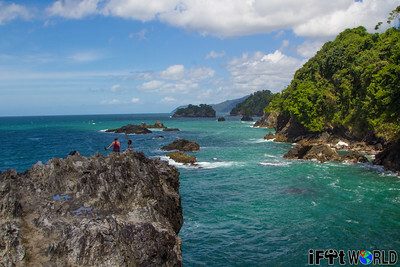 It is located before the famous landmark known as the "Maracas Lookout". 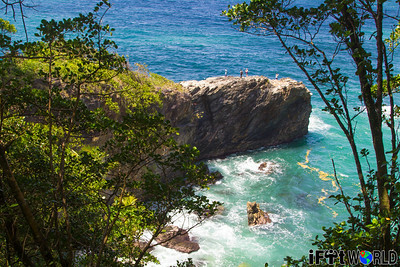 The trail passes through former cocoa estates located on the steep cliff sides down to the beach. 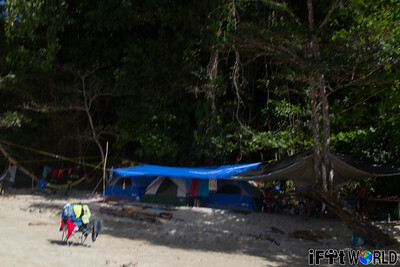 This bay is one of the very few in Trinidad which has a seasonal waterfall flowing onto the beach. 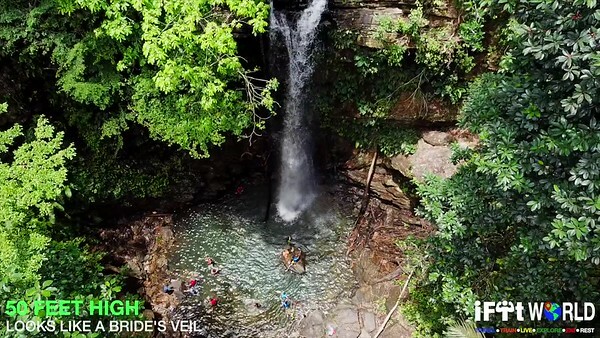 To experience this waterfall, we recommend doing this hike in the rainy/wet season. In ensuring you have a good quality experience, we will host this activity in two batches with 20 Persons in each batch. 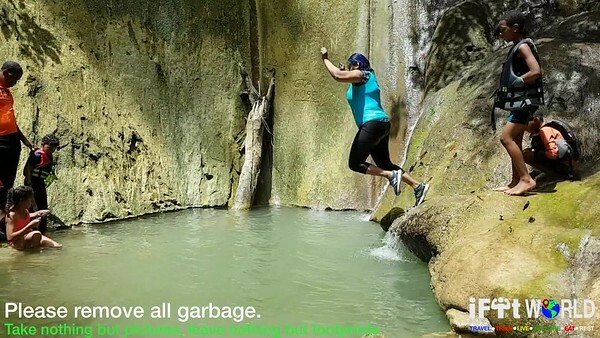 At the start of the hike we will make a pit stop at the former USA Military Bunkers then we will be hiking up the river witnessing the amazing rock and water features carved out by erosion over millions of years. As we journey we will pass through old cocoa plantations and on our return we will visit the abandoned nutmeg plantations. You may be able to find a nutmeg on the ground. On the trail we will be walking through water and on slippery rocks there we recommend coming along wearing sneakers/boots with grips. Sandals, converse sneakers(or any type without grips) and slippers are not recommended for the trail. As we make our way to the beautiful emerald pool, we will be required to walk up a small waterfall holding on to a rope which is very exciting. The trail is relatively easy so do not be worried about not being able to make it. Duration of hike: 1 hour 1 way. 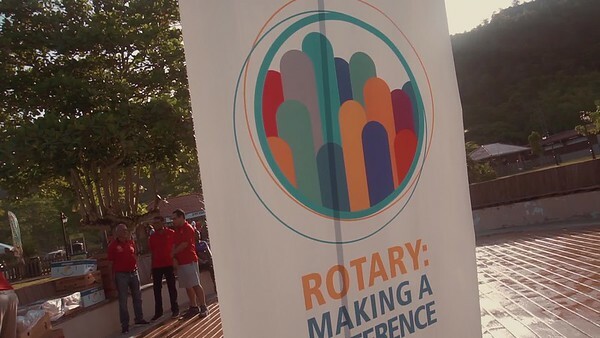 Meeting point: Saaman Park, Tucker Valley Road(Macqueripe). Exact meeting point will be shared with you upon registration. If you require transportation, please request it when booking your spot. Transportation comes at an additional cost. Once you booked it is understood that you agree to our Cancellation Policy stated below. CANCELLATION POLICY: Cancellations made at least 3 days prior to the event incur a 50% fee. Cancellations made less than 3 days prior to the event incur the full fee. 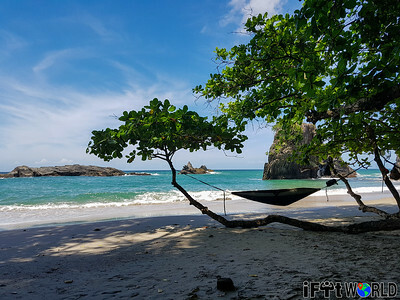 EASTER 2019 IN PARIA- Click/Tap this image for packages. Parking is available at the Marianne Beach Facility or Laguna Mar for those who will drive to Blanchisseuse. The hike then starts at the spring bridge and continues for two hours, uphill and downhill. While on the trail you will be able to enjoy the natural, clean, salty air as it fills your lungs. 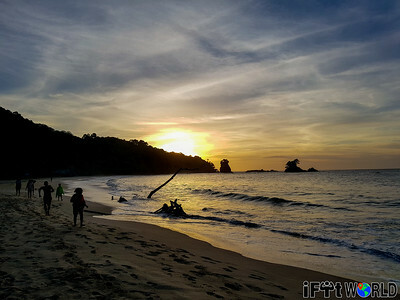 Stops are taken for short moments to capture the views of secret, untouched beaches. 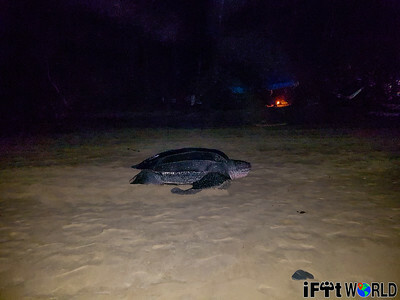 There is the option to make a detour to visit "Turtle Rock" which is a peninsula just before Paria Bay which gives one of the best views your eyes will ever see. At the western end of the bay, you will witness the ability of erosion to transform the landscape which is evident at the "Cathedral Rock". 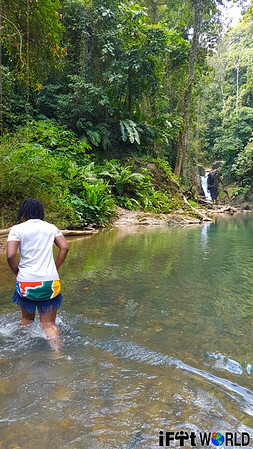 As you venture eastward to the waterfall trail, you would hear the sound of running water(depending on the season) from a nearby freshwater spring which provides water for cooking, bathing and washing etc. 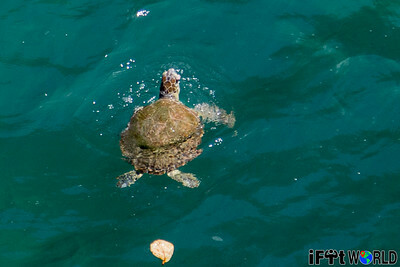 Look out for the sea turtles hatchlings as they make their way to the sea. 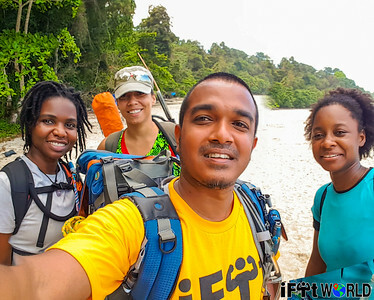 We will then arrive at the waterfall trail which we will hike for additional 15 minutes to the exquisite Paria Waterfall which is a gem by itself. After you relax a bit and catch your breath, you can take a dip/swim or just relax at the water's edge. 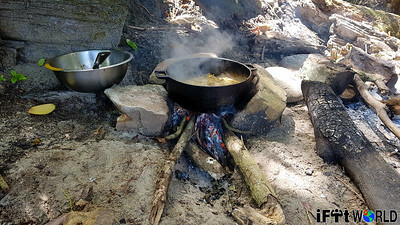 Have lunch and some gatorade as we will be here for about 2 hours before the return by boat to Blanchisseuse. If the adrenaline is still running through your body and your mind is excited about where you are, immerse your senses and allow the freedom of escape to suddenly take over. Difficulty Rating: 6/10 Challenging but worth it. Duration: 3 Hours one way. 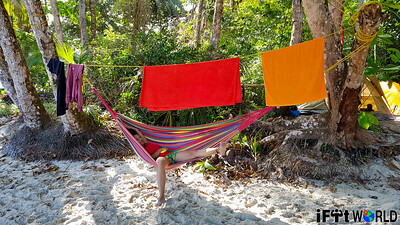 There is an option to hire a boat to return from Paria Bay to Blanchisseuse. Literature and content for the hikes/activities listed below will soon be added as our website is currently updating. 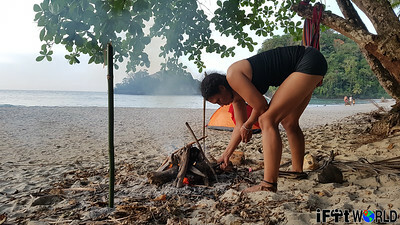 Saturday 18th - North Coast Beach Hopping, Night Hike and Camp for the night.